I am finally getting back to the blog! It’s been way too long, but better late than never… this piece covers our route from Munich to Bourgogne. With an all too short visit through Bavaria, we headed to Alsace, France. This is a region that has gone back and forth between French and German rule for centuries – and its culture and cuisine reflect that. We stopped for lunch in the gorgeous city of Strasbourg, packed with tourists but still so pretty. We enjoyed a heavy but good German-style lunch and walk around the impressive cathedral. We then pressed on to the much smaller Colmar, which is virtually a mini-Strasbourg. Colmar is achingly picturesque, with geranium-bedecked bridges over canals lined by timber-framed pastel-colored houses. Colmar is SO storybook that I found myself almost expecting to see Disney characters bursting into song. The problem? The residents we encountered seemed very tourist-weary and, as a result, remarkably gruff and unfriendly. It’s the only place in all of Europe besides Venice, Italy, where the majority of our interactions with locals were not positive. I understand, really… it would be annoying to have hordes of tourists gawking non-stop, getting in the way of everyday residents, creating traffic and noise. I understand… but it definitely did not leave us wanting to return – the one night stay was enough. The next day, because fortuitously, only a few weeks before I’d seen a New York Times article about it, we were able to swing by a really cool place: the Vitra Design Museum. Just outside of Basel, Switzerland (but RIGHT at the intersection of France, Germany and Switzerland), the Vitra Design Museum is a center for modern art, architecture and design. Kind of a random stop for a family with tweens, you say? Yeah, I can see why it might seem a bit of a stretch. However, Fritz and Ernst actually like modern design, in part because our house at home was renovated in the now-trendy but, in the case of our 1960 house, period-appropriate mid-century modern style. Regardless of the rationale, within a very short time, they had both declared Vitra the best museum we’d ever visited (sorry, Louvre, Prado, Rijksmuseum, etc!). Part of the appeal was the massive, really fun spiral slide – free with no lines, we were all big fans. But much of modern design is just inherently FUN. There’s a huge room with all these really cool iconic chairs – you’d recognize a lot of them – and the boys loved picking out their favorites. We also enjoyed seeing exhibits that had personal meaning to us – either because we have furniture (or, let’s be honest, knock-offs in most cases) and/or because the spotlighted designers had a fruitful history in our backyard, at the incomparable Cranbrook in home state of Michigan, which was mentioned several times throughout the museum. After a thoroughly good time, we continued our journey, making one more “design” stop on our way: Swiss-French master architect Le Corbusier’s Notre Dame du Haut Chapel in Ronchamp. Three out of four of us were in good moods by the time we got there, and the three of us enjoyed this quick stop to see this gorgeous modern chapel. The fourth stayed in the car. We finally reached our cute bed & breakfast just outside of Beaune in Bourgogne (Burgundy). With a lovely view but iffy weather, the kids got out some energy in the pool. Given that PapaHatch had recently been suffering from savage cluster headaches, the onset of which any alcohol guaranteed, we regretfully forewent wine-tasting in Bourgogne. Nevertheless, we enjoyed a fabulous meal at the Bistrot au Bord de l’Eau, where for some reason they gave us the best table overlooking the stream. Heavenly – this meal was a real highlight of this region for us. Beaune has a pretty old section but is actually a bigger city than we’d realized. Originally, I imagined we’d rent bikes and cycle from winery to winery (ok, maybe just one or two, given that we were with the kids). But between the rain and PapaHatch’s unfortunately-timed wine-induced headaches, we were a bit at a loss of what to do. So we industriously hit the major sight in town: the Hospices de Beaune. Honestly, it sounded kind of boring to me… a historic hospital? Snooze. But since it was pretty much the only non-wine-oriented game in town, what else were we going to do? In fact, the audio tour was excellent – and there was a well-done (if a bit silly) kids’ version, so in the end, we all really did enjoy it. As usual, I recommend getting there when it opens… when we left, there was a big line to get in. 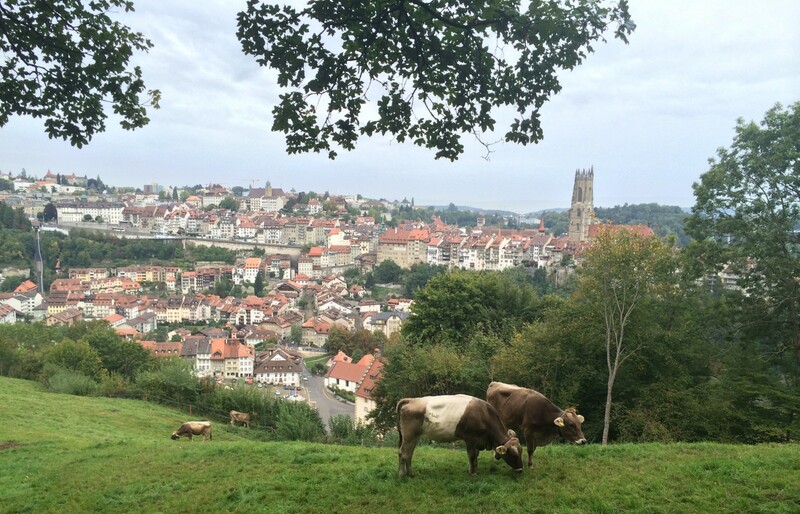 Originally, we’d planned to stay four nights in Bourgogne, but we were ready to leave after only two. I suppose had we been able to visit wineries and/or bike around, we would have found the area more interesting, but as it was… meh. So while my “Bored to the Beaune” title is probably overly harsh, it was not our favorite region. Sure, it’s pretty and pleasant enough, but I don’t think we will be returning anytime soon. On to Provence!